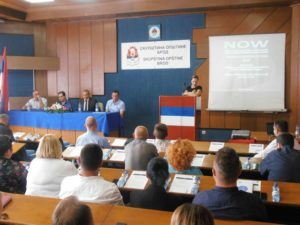 A workshop on mentoring for the establishment of the regional concept and inter-municipal cooperation organized within the project Emergency Response Now took place on August 31, 2017 in the municipality of Brod. 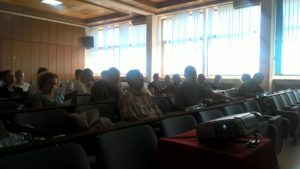 Mayors of Brod and Šid, Mr. Ilija Jovičić and Mr. Romko Papuga, as well as President of the City of Sremska Mitrovica Assembly, Mr. Tomislav Janković, attended the workshop alongside project team members, and members of the Inter-municipal Working Group for Environment Protection and Risk Management, both from Bosnia and Herzegovina and Serbia. 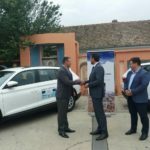 The workshop was led by Mr. Uroš Vojnović, President of the Commission for EU Integration of Brčko District, Mr. Milan Mirić, Director of Srem Regional Development Agency, and Mr. Bora Obradović, Project Manager for Infrastructure and Sustainable Development in Srem Regional Agency. Participants of the workshop had a chance to discuss protection and rescue models applied in Brčko District of BiH, as well as exchange experiences from 2014 floods. The models of regional development and inter-municipal cooperation, as well as design and implementation of regional projects were presented. „We have managed to protect ourselves from the floods in 2014, but this does not mean that we are safe. Brod is situated between two rivers, Sava and Ukrina, with extensive canal network; often the water level of Sava River is higher than the city itself which posed a danger of floods. 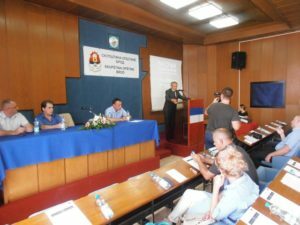 We try to undertake all the necessary measures on time, and to be ready at all times – this is what the core of today’s workshop is“ mayor of Brod Ilija Jovičić said. 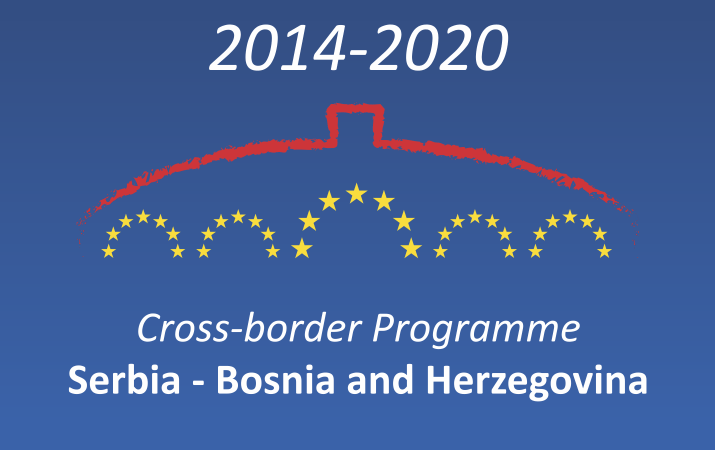 Tomislav Janković, President of the City of Sremska Mitrovica Assembly pointed out: „The project connected the municipalities and cities in the very important system for the exchange of information. This is what all the participants value in this Project“.